Let’s be honest: I could have chosen a better place to hike during peak foliage this year. 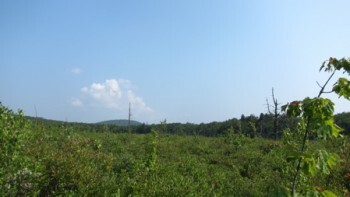 For there are very limited views at the expansive McLean Game Refuge, which straddles both Granby and northwestern Simsbury. But this year, I think I enjoyed the Fall colors in a different, more contemplative way. Oh, and by the way, McLean is a National Natural Landmark! Senator, and former Governor, George McLean was most at home in the woods. They gave him refuge and respite from the pressures of state and national politics. The woods and the creatures living here taught him the natural rhythms of season and weather. As his career allowed, he accumulated 3400 acres of abandoned farms and wild acres. McLean hunted and fished the land, sharing it with his friend Gifford Pinchot, first Chief of the U.S. Forest Service, and with Presidents Coolidge and Taft and Hoover. 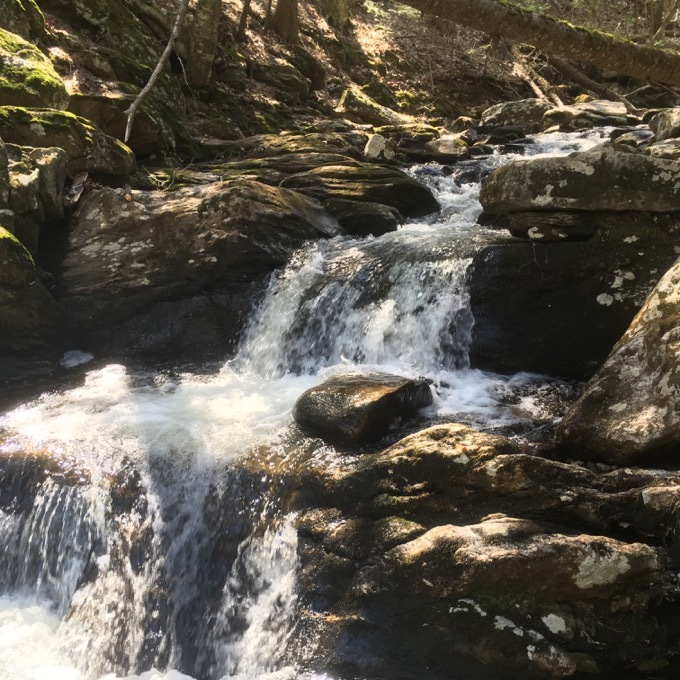 He relied on the woodcraft and wisdom of a Native American, Amos George, a Pequot, whose sons succeeded him in caring for the trails, streams, and ponds that linked the land as it grew wild again. 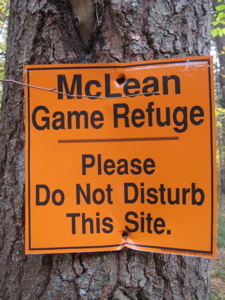 In his will, Senator McLean left the Refuge, with a limited endowment, under the care of Trustees, to be open to the public, “subject to such restrictions and provisions as said trustees may in their discretion make for the preservation of said property and the wildlife thereon.” He wanted it to be, as he put it, “a place where some of the things God made may be seen by those who love them, as I loved them, and who may find in them the peace of mind and body that I have found.” The Trustees have added over a thousand acres to the Refuge since the Senator’s death, thanks to the generosity of several families and the state of Connecticut, and have cared for the land as the Senator provided in his will. The Refuge has always been open to the public for free for passive recreation and photography. Which is all I ever ask for. Carpenter’s Falls in the northwest section of the refuge. I hiked the Refuge over two consecutive days in 2008 and then revisited a few new/previously unknown trails and spots in 2018. There are two rules of thumb here, avoid blue-blazed trails and and blazes are almost all sideways for some reason. Let’s get to it. Is this place a good spot to take a class of children birding? Im looking to take my Adventurer class first time birding and I would like to know if we would see several different varities of bird life there. what happened to the fish in Trout Pond in McLean. There use to be lots of fish there and some turtles but I don’t see any now.